Sauv Blanc: my reawakening continues. I’ve been experiencing a sort of Sauvignon Blanc renaissance lately. For the longest time I all but ignored the grape: I had tried and was clinically impressed but not emotionally roused by many of the SBs and blends of Bordeaux and the Loire; I had lapsed firmly into the camp of “if you’ve tried one New Zealand Sauv Blanc you’ve tried them all”; and I did not hold out much faith that California (too hot) or Canada (too nondescript) could work any magic with the varietal. But wine, if you let it, has a funny way of pointing out the absurdity in rigidity and making sure your horizons are always boundless. In the past few months I’ve been blown away by the remarkable and wildly original Greywacke Wild Ferment Sauvignon Blanc from Marlborough and equally amazed by the textural magic of the Alice May Pathfinder Sauvignon Blanc from Cali. 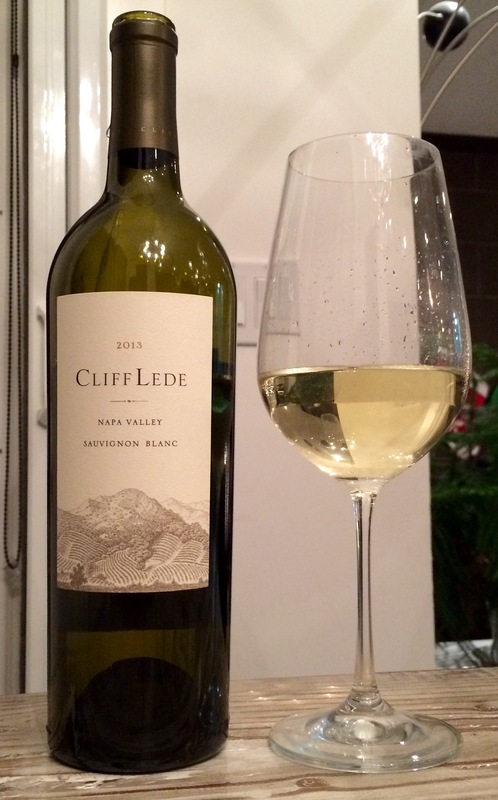 Now add a third one to the list: the Cliff Lede Sauvignon Blanc, from Napa Valley of all places, not only offers a dynamite sensory experience but also seamlessly exudes a sense of place while doing so. 2013 was a great year to be a vintner in Napa: the vintage was ideal, with perfect weather across the board and no surprises, meaning excellent crops of grapes that could be harvested when they were in the best place to showcase what the winemaker wanted in the finished wines. The Cliff Lede team selected grapes from a number of different vineyards across Napa for this Sauv Blanc, largely from the Cab haven of Rutherford but also from elsewhere in the valley where exposures and microclimates are sharply different and mostly cooler. Although labelled simply as “Sauvignon Blanc”, this bottle is only 91% SB, with the remainder 7% Semillon (Sauv Blanc’s classic blending partner in white Bordeaux) and 2% Sauvignon Vert (which is not actually related to Sauv Blanc at all but is another name for the Italian white grape Friulano). The grapes were fermented cold in almost every kind of fermentation container imaginable – stainless steel, neutral oak casks, and concrete eggs – and then left on their lees to age in order to enhance the texture and youthfulness of the wine. Much like Chardonnay, a lot of what comes across in a glass of Sauvignon Blanc is a reflection of what you do with it in the winery: the winemaker’s choices can completely change the character, flavour profile and attitude of the wine. This is often perceived as a negative thing, and in many cases it is, but in my opinion at least, the grapes that can lack some measure of personality and diversity by themselves can act as an incredible canvas for the deft touch of a skilled winemaker, and this bottle is a great example of that. Cliff Lede’s Sauv Blanc was a bright lemon colour (the tasting spec sheet actually describes it as having “the cut and colour of a yellow sapphire”, which I didn’t even know was a real thing) and ran the gamut of aromas, from dazzling fruit to steely minerality to wood-induced richness. Lemon custard, pineapple and Fuzzy Peaches were toned down and balanced out by river stones and talcum powder then rendered slightly savoury by a nutty, sauna-like note. This is certainly not an aperitif-only Sauvignon Blanc, as its full body and prominent alcohol (14.7%) keep it from being any sort of shrinking violet. By far the best thing about drinking this wine is the tactile roller coaster it evokes in your mouth. At first the SB’s texture is lush and creamy, almost languid, but as you hold it in your mouth you can feel it gradually honing itself down to a fine point, like the mouthfeel of the wine is being put in a pencil sharpener. By the time you swallow, the rigid, almost blade-like acidity is fully in control, leading to a clean and powerfully mineral finish that lasts a good two minutes. It’s wild. Add to that a rich yet taut set of flavours, pie crust and Asian pear and chalk and honeydew, with a touch of buttered toast on the edges, and you have a singular Sauvignon Blanc experience. It is not a shy and reflective wine, but it manages to be both passionate and precise at the same time, no small feat. If I’ve learned anything about this grape recently, it’s that it’s not as self-evident as I thought and can succeed in a wide variety of shapes and sizes. This bottle also shows that Napa is far from a one trick pony, and that even apart from the big reds it can create wines with layers and bite underlying their more classically welcoming flavours. 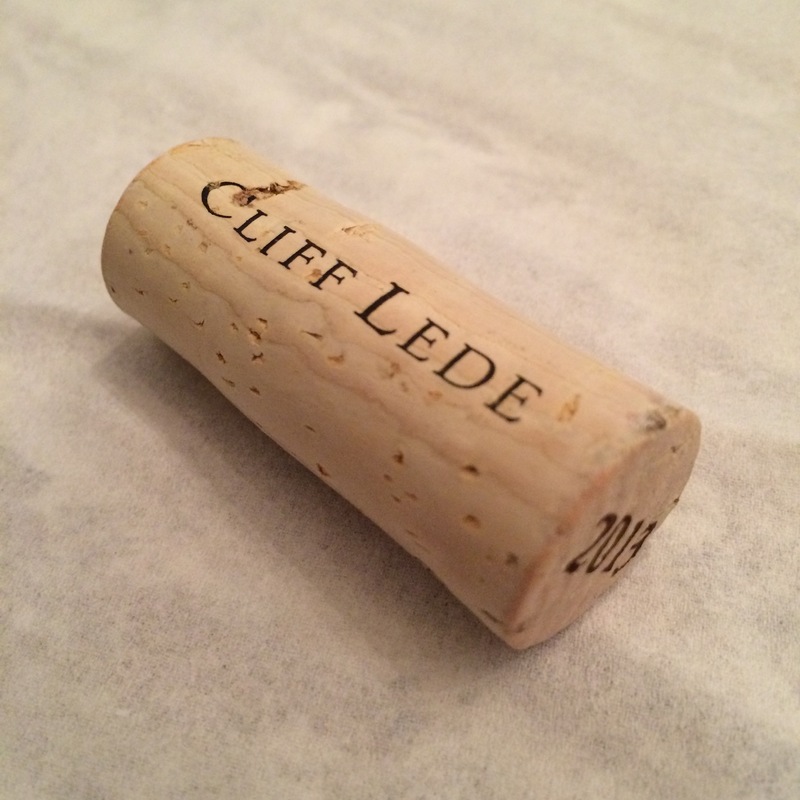 Cliff Lede can always be counted on to put out impressive wines at very reasonable (for Napa) prices, and this one is no exception.